At the end of the first season, when The Doctor played by Christopher Eccleston suddenly burst into light and morphed into a completely different person, I was mystified… dumbfounded. What the hell had just happened? You mean to tell me the doctor can just change bodies? To put it mildly - I was upset. Like I said in my guide on how to dress like the ninth doctor, I had only watched a few episodes of the original series and never got into it… so the doctor changing bodies was something I was not prepared for. ​It took me a while to ease into the new doctor, but once the series started to get going I really fell in love with this new but not new Doctor. He seems smart and cunning, a lot like how he dresses. He dresses like some sort of hip lawyer or professor with his four button suit and Converse Chuck Taylor All-Stars. There is so much more going on with the tenth doctor both aesthetically and psychologically. We learn so much more how vulnerable the Doctor is and what pain it must be to go on living for years and years while your friends age and die away… and there is nothing in your power to stop it. Gone is the leather that the previous doctor wore. The new doctor likes to wear a long tan trench coat. I rank this as the most essential item for compiling a tenth doctor, Doctor Who costume. The first thing anyone notices about the tenth doctor is his long tan trench coat that shrouds his body like a suit of armor, so it is important to make sure you get as close to the real thing as possible. Luckily for us, there is an exact replica available on Amazon. I simply love this coat. It has the same number of buttons, same pocket layout, same color… It even has TARDIS Blues lining. The only downfall however, is that it is a little pricey. I found a few alternatives, like the Dr. Brown brand long trench coat which is also a very good match. The cut of the coat is not exactly like his real jacket, but unless someone was holding a picture of the tenth doctor up while they were looking at you, I doubt anyone would ever notice. It is long, tan, has similar pockets, and the buttons do go a little higher on this jacket, but it is still a very good option. Another option is the Zity brand Trench coat. Now we are getting a little further away from the jacket that is worn on Dr. Who, but it is still an acceptable low cost alternative from the more expensive replica jackets. The tenth Doctor wears a blue pin striped suit and also an exact duplicate in brown. Again, thanks to the popularity of Dr. Who, we have the luxury of companies making exact replicas. The blue pin striped suit replica made by CosDaddy or the matching brown pin stripe are the very best options if you want to get an exact match to the suits worn on the show. Everything matches exactly on both of these suits and are made of good quality. These are not some cheap Halloween costumes, these are for people who are serious about pulling off the perfect look for the perfect costume, or those who simply want to dress like the Doctor. Also, take not that the shirt and tie are not included with these suits. There are other suits that are acceptable, like the Calvin Klein Blue pinstripe suit. This suit may not be exactly like the suit the tenth doctor wears on the show, but one advantage is you could wear this suit even after you are done with the costume for job interviews or other formal functions. Beneath the trench coat and suit we have the shirt and tie. This is where you can get a little loose with your selections in my opinion. For the shirt, any button up shirt will do really. 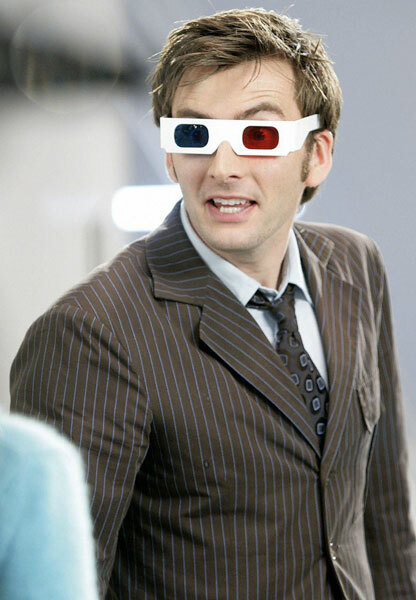 I would recommend a white or light blue shirt as that is what I envision when I think of the tenth doctor. However, if you pay attention to the show you will see that he wears a variety of colors, like darker blue and burgundy. I like the Nautica Bright White and Petrol button up shirts. For the tie I would suggest getting something that is not too flashy. The doctor wears solid color ties and patterned ties, but the patterns are very subtle. You want the focus to be on the Jacket and suit, not some goofy tie you have been waiting to show off. For solid ties I suggest Tieguys brand, there are many colors to choose from and they are very low cost. For the patterned variant I like the Coxeer brand brown patterned tie. The tenth doctor wears Converse all stars in cream and red. If you cannot find your size in cream go with off white, beige, or natural white as these colors are all very similar. I love the fact that he wears Converse All Stars because they are much more inexpensive than a pair of combat boots, and you probably already have a pair in your closet. The tenth doctor does also provide us with a couple accessories. We have his tortoise shell glasses and of course the sonic screwdriver. For his glasses I suggest getting the Magnolia Clothiers glasses because they are a replica of what he wears on the show. For a low cost option you can try the zeroUV horn rimmed glasses. They are not as close of a match as the Magnolia Clothiers glasses but are still serviceable. To complete the costume you cannot forget about the sonic screwdriver… seriously, do not forget your sonic screwdriver.